What does Poncho mean, details, origin, short & easy attributes? Origin of the name Alfonso: Cognate of the French Alphonse (noble and ready), a name derived from the Old German Adulfuns, a compounding of the elements adal (noble) and funs (ready, prompt, apt). The name was borne by the patron saint of Mallorca and Palma. From A World of Baby Names by Teresa Norman.Buy the book. Poncho is baby boy name mainly popular in Christian religion and its main origin is . Poncho name meanings is Ready, prompt, apt. People search this name as Poncho. Other similar sounding names can be Alfonso. Popular personalities with Poncho Name. 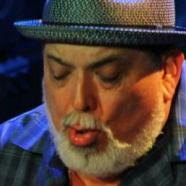 Poncho Sanchez is a jazz and latin music (genre) musician, arranger, composer, record producer, and arrangement. He plays Conga, Timbales, Percussion instrument, and Vocals. His most notable accomplishments were from 1975 to present. Poncho was born Poncho Sanchez on October 30th, 1951. Poncho was born on March 3rd, 1976 in Monterrey. Poncho is also known as El Magistral Italiano. Poncho was given the name Alfonso Vera Prendes on March 23rd, 1974 in Mexico City. Poncho was born on September 1st, 1972 in Eagle Pass, Texas. Poncho Puente is an athlete for the Denver Dynamite (soccer).